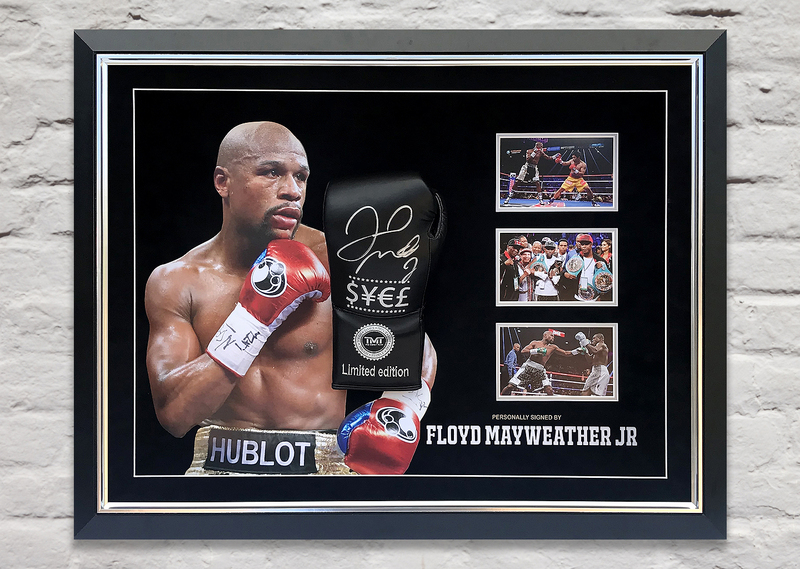 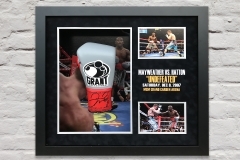 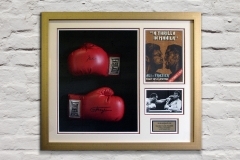 Here at Mounted Memories Ltd we realise the importance of protecting your valuable boxing memorabilia. 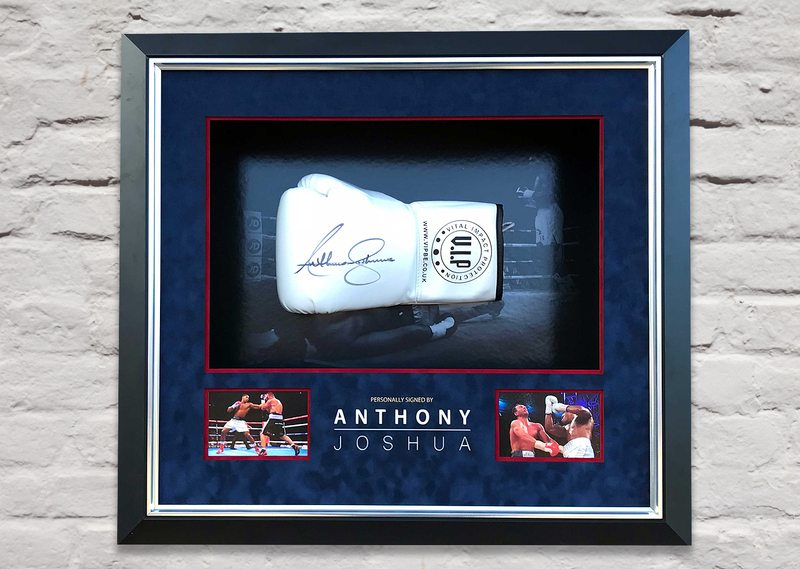 No matter who your piece of equipment is signed by, it's important to frame the items to a standard that allows the signature to be preserved. 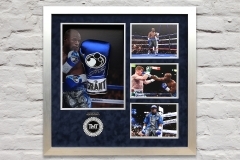 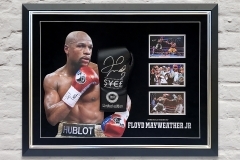 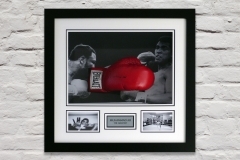 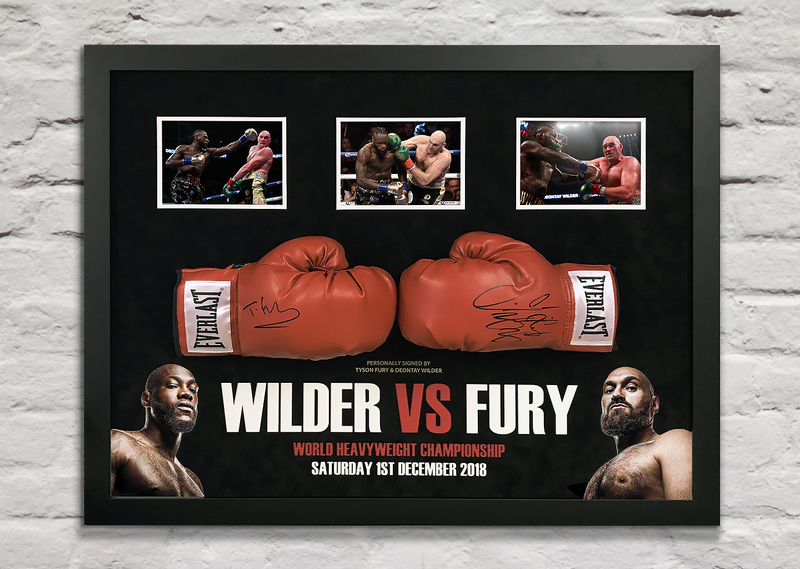 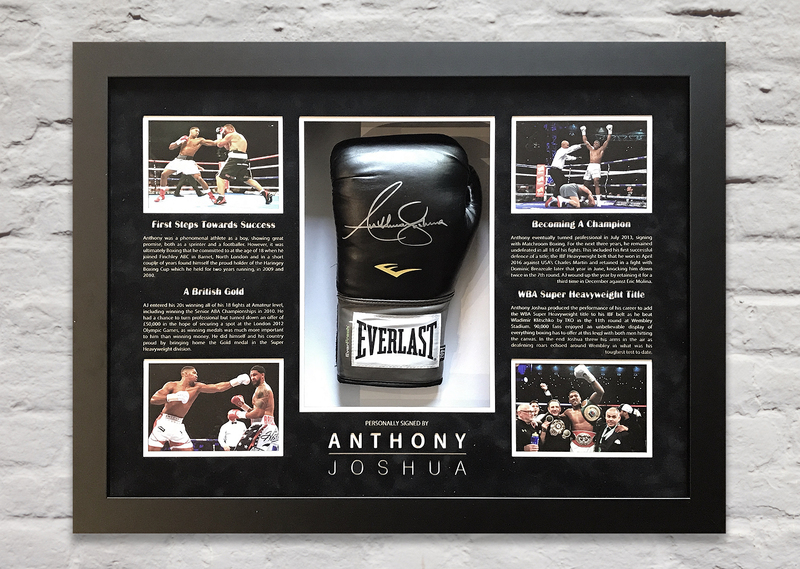 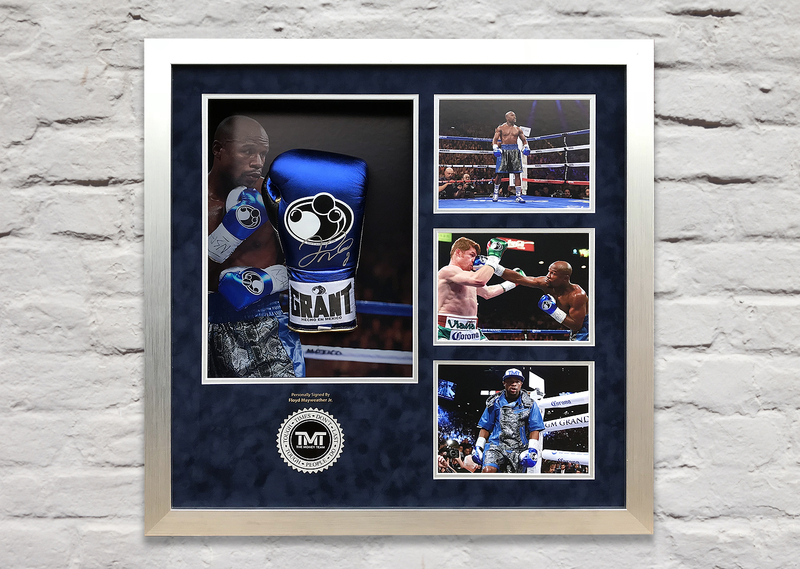 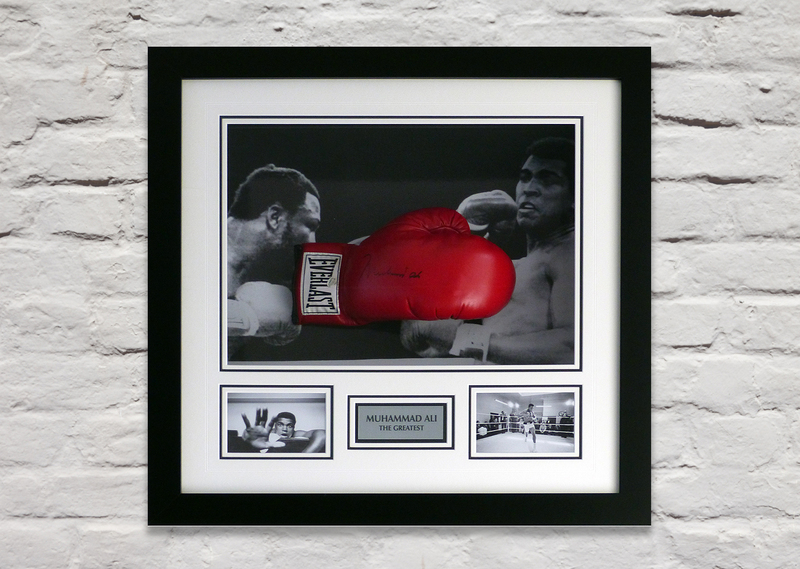 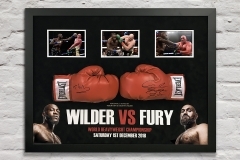 We offer a vast array of framing options for boxing gloves; including shadowbox frames, acrylic dome frames and custom acrylic display cases. 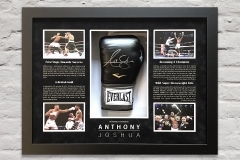 Since all gloves vary in orientation and design, each and every frame created is a bespoke service. 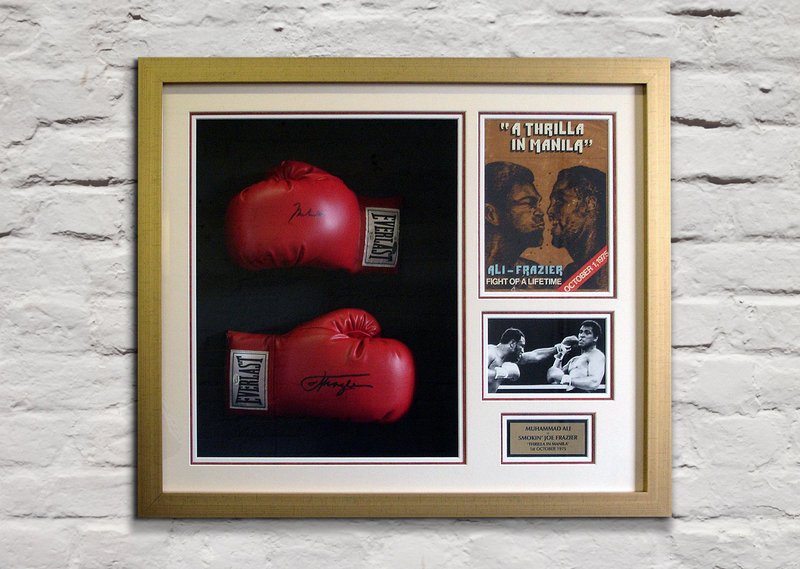 Your framing possibilities are endless, so please contact us for further details or to get a quote.